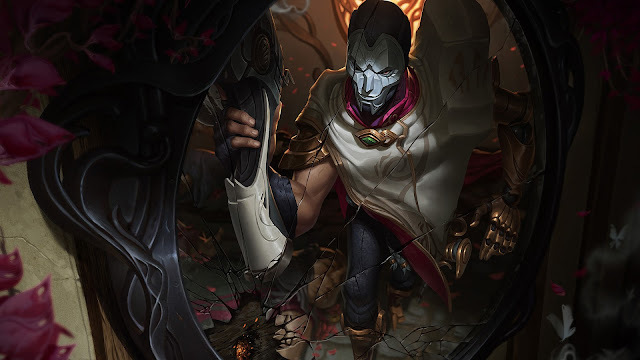 Surrender at 20: Jhin, the Virtuoso, now available! 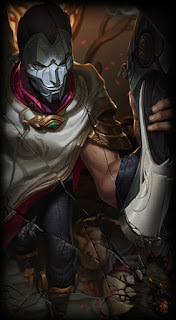 Jhin, the Virtuoso, now available! "Your life had no value before me." - Jhin, the Virtuoso is now available for purchase! 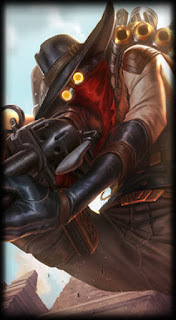 During his first week of availability, Jhinwill be priced at 975 RP / 7800 IP, after which he will drop to the standard 6300 IP price point. Alternatively, you can pick up Jhin and High Noon Jhin in his limited time release bundle for 1837 RP through February 8th. Continue reading for preview of Jhin's performance, including a full run down of Jhin abilities, a look at his release skin High Noon Jhin, and more! "It’s time to get your snipe on. 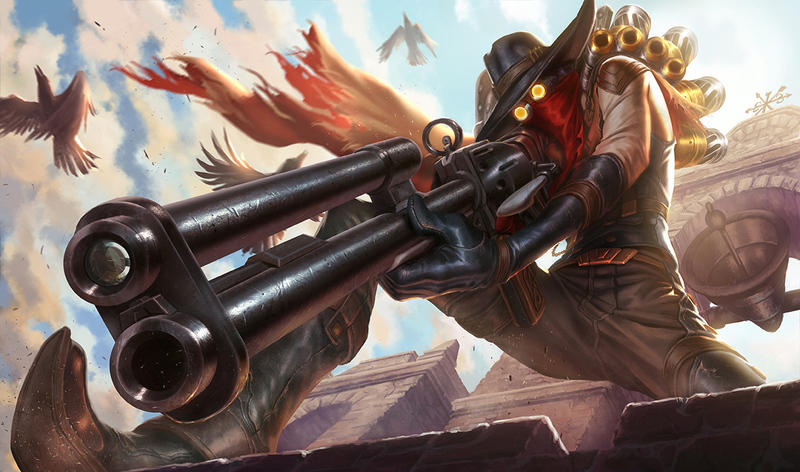 Dust off your duster and saddle up, because High Noon Jhin’s comin’ to town. The skin’ll set you back a couple of gold nuggets - 1350 RP if you’re into digital moolah - or can be picked up with Jhin’s launch bundle for 1837 RP. You’ve got until 23:59 PT on 2/8 to pick up the bundle - after that, it’s headin’ for the hills. Yeehaw? Yeehaw." "I wonder what they think when they see me." Continue scrolling for a better look! 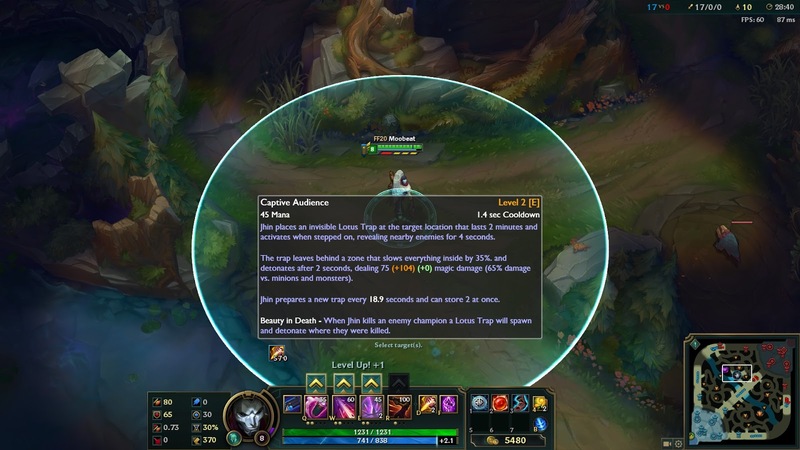 Jhin's VO is up, clocking in at over 20 minutes! 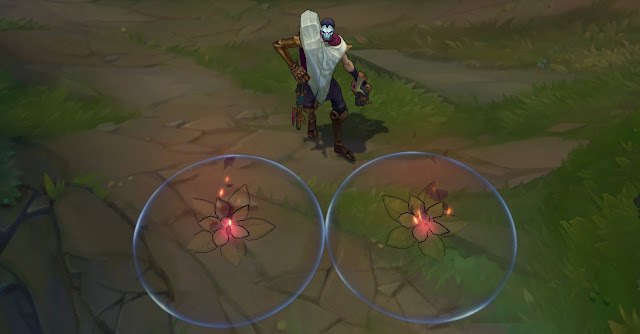 This includes oodles of special taunts for champions like Bard, Draven, Garen, Illaoi, Jinx, Katarina, Lucian, Rek'sai , Shen, Sion, Sona, Tahm Kench, and Zed. 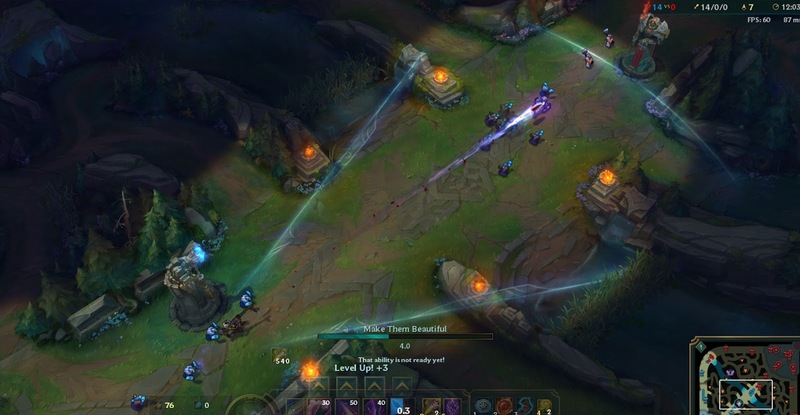 He also has unique taunts for Ionian and Noxian champions as well as special lines for purchasing items in the shop! 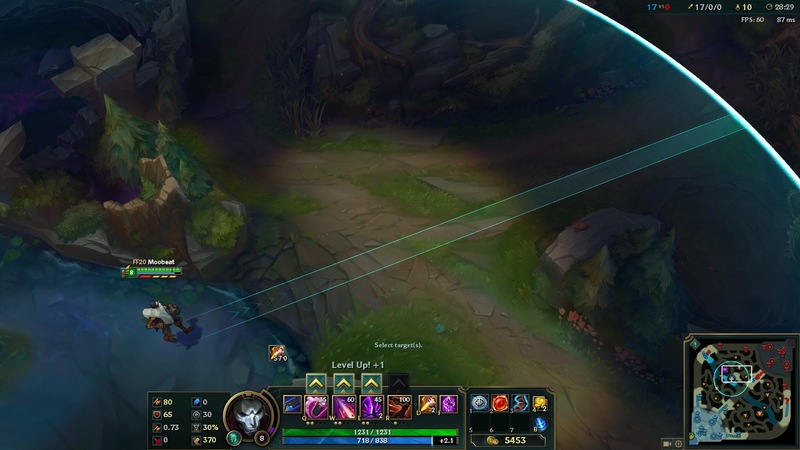 Jhin is a meticulous criminal psychopath who believes murder is art. Once an Ionian prisoner, but freed by shadowy elements within Ionia’s ruling council, the serial killer now works as their cabal's assassin. Using his gun as his paintbrush, Jhin creates works of artistic brutality, horrifying victims and onlookers. He gains a cruel pleasure from putting on his gruesome theater, making him the best choice to send the most powerful of messages: terror. For years, Ionia’s southern mountains were plagued by the infamous “Golden Demon.” Throughout the province of Zhyun, a monster slaughtered scores of travelers and sometimes whole farmsteads, leaving behind twisted displays of corpses. 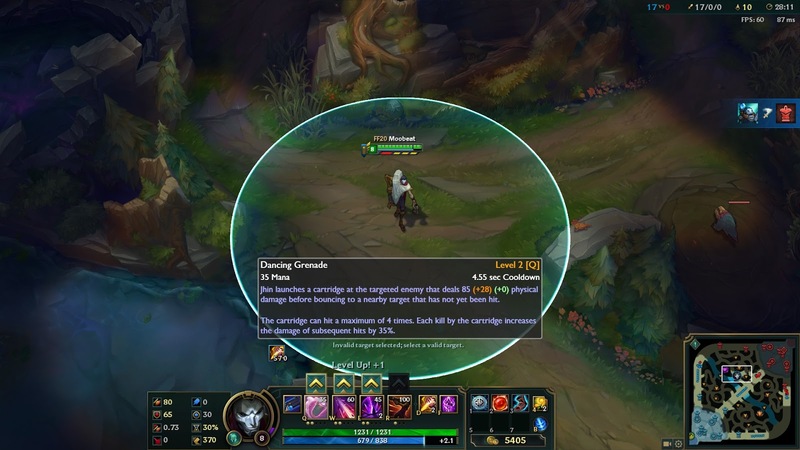 Now with access to the Kashuri armories’ new weapons, and nearly unlimited funds, the scale of Khada Jhin’s “performances” has grown. His work has brought fear to many foreign dignitaries and to Ionia’s secret political underground, but how long will a serial killer, craving attention, be satisfied working in the shadows?" "You shoot to kill, you better hit the heart." 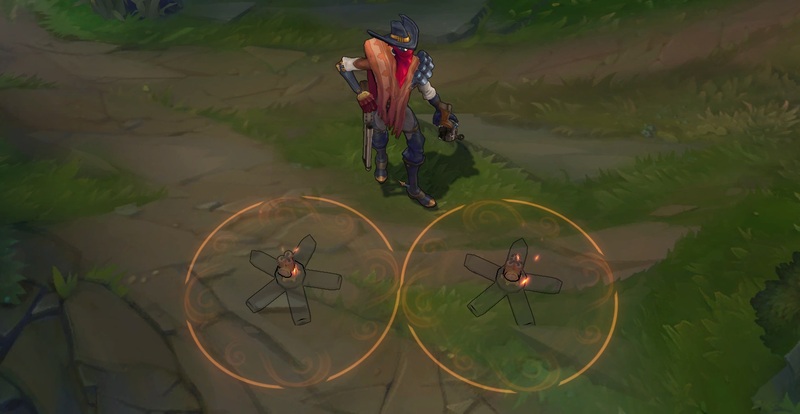 High Noon Jhin, Jhin's release skin, is also now available individually or as part of the release bundle! 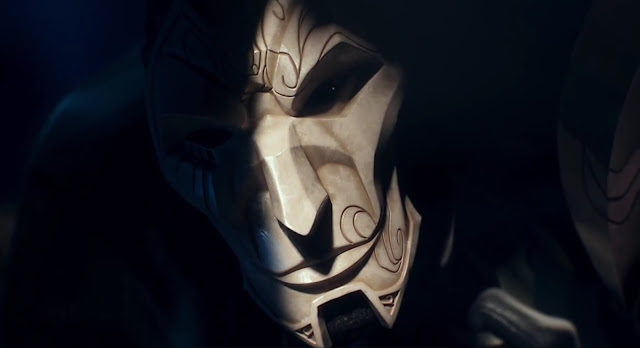 Of course, what champion release would be complete without a new login theme; here's the track for Jhin!